In March 1949, the very first Academy Award for Best Costume was ever given. Actually, two were given, one for Best Costume Design, Black and White, and one for Best Costume Design, Color, since popular movies were being made in both formats at the time. Elizabeth Taylor was the presenter for these categories for the ceremony at the Academy Theater in Hollywood. Roger K. Furse won for Hamlet in the black and white category, and Dorothy Jeakins and Barbara Karinska won for Joan of Arc in the color category. The category remained split until 1957, when it was combined for two years, then it was split again from 1959 until 1966. Since 1967, there has been only one category for Best Costume Oscar. 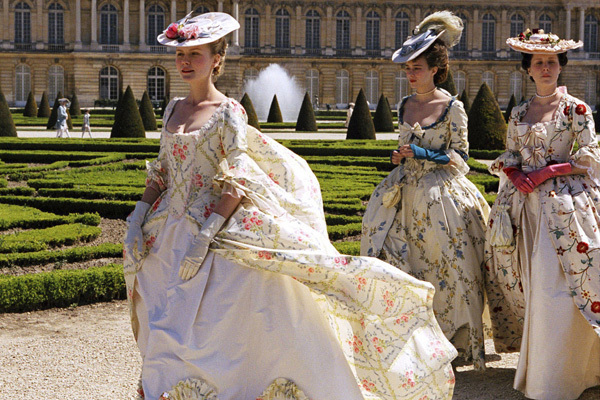 Today, we think of the Best Costume Oscar going to historical costume movies. When the award started, the two categories tended to divide the winners into contemporary movies winning for the black and white category and historical or fantasy movies winning for color (despite two historical movies winning the very first awards). For example, All About Eve (1950), Roman Holiday (1953), La Dolce Vita (1961), and Who’s Afraid of Virgina Woolf? (1966) all received the black and white Best Costume Oscar. Meanwhile, Samson and Delilah (1950), The King and I (1956), Cleopatra (1963), and My Fair Lady (1964) all won in the Oscar’s color costume category. 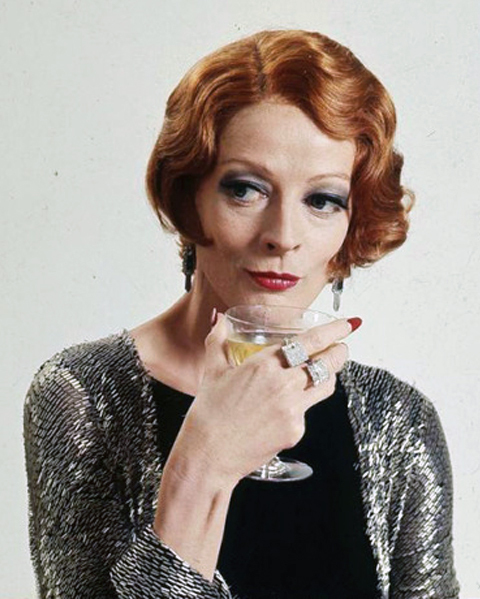 Maggie Smith as an eccentric “aunt” in 1972’s Travels With My Aunt. Since the two costume categories were permanently combined in 1967, all but two winners have been historical or fantasy movies. Only Travels With My Aunt (1972), designed by Anthony Powell, and The Adventures of Priscilla, Queen of the Desert (1994), designed by Lizzy Gardiner and Tim Chappel, were set in contemporary times and won the costume award. Contemporary movies do get nominated, but they have a huge uphill struggle to get an award. These two winners are each notable in that they were for outlandish, wildly creative designs within a contemporary setting. 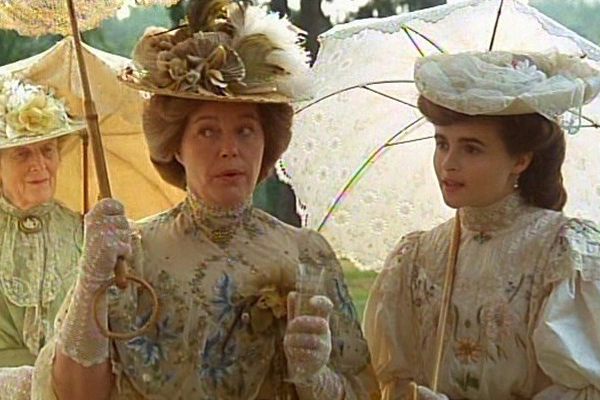 The “aunt” of Travels With My Aunt is an unconventional, elderly con woman played by Maggie Smith, and Powell (cousin of fellow Oscar winner Sandy Powell) created a wild wardrobe with big hats, lush furs, blingy jewelry, and elaborate gowns for Smith’s character. Priscilla is a story about three drag queens crossing the Australian outback, and Gardiner and Chappel designed outfits for the queens’ many outrageous musical numbers. Neither of these Best Costume Oscars were for subtle modern clothes. 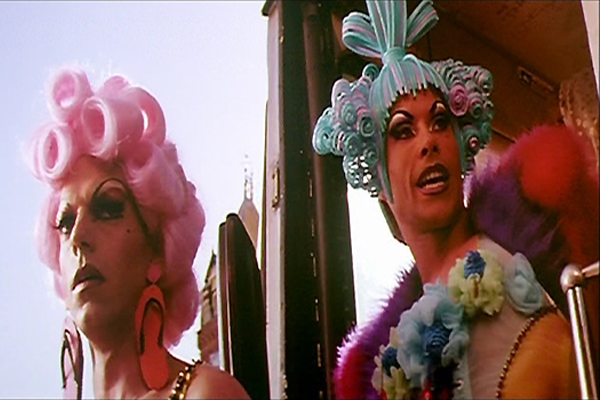 Not your typical modern costume designs for Priscilla, Queen of the Desert in 1994. Fantasy movies have almost as hard time as contemporary films when it comes to actually winning a Best Costume Oscar. Back when there were two categories, only Mary Wills won an Oscar in the color category for The Wonderful World of the Brothers Grimm (1962). Since 1967, just three fantasy films have won the costume award: Star Wars (1977), designed by John Mollo; The Lord of the Rings: Return of the King (2003), designed by Ngila Dickson and Richard Taylor; and Alice in Wonderland (2010), designed by Colleen Atwood. You could make a case for The Grand Budapest Hotel (2015) being either fantasy or historical, as it’s mostly set in the 1930s but in a fictional central European country, and Milena Canonero’s costume designs are colorful riffs on period aesthetics. However, Star Wars stands as the only true science-fiction movie to win a Best Costume Oscar — 2010, designed by Patricia Norris, was the last sci-fi movie to even get nominated for the costume award back in 1984. Fantasy tends to get nominated more frequently (such as Into the Woods and Maleficent in 2015, and Mirror Mirror and Snow White and the Huntsman in 2012), even if it doesn’t win. 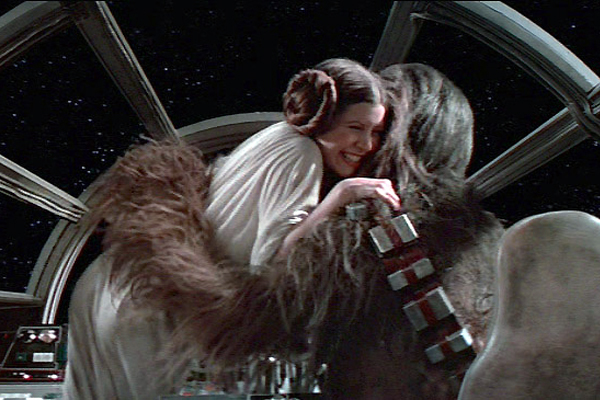 Hair buns and wookies, oh my! Obviously, because the award wasn’t even created until 1948, some great movies and excellent designers missed out on the award. Walter Plunkett and Adrian didn’t get to duke it out in 1939 over the costume award for Gone With the Wind and The Wizard of Oz, respectively. In fact, Plunkett only received one Oscar, sharing it in 1951 for An American in Paris, with Orry-Kelly and Irene Sharaff. Adrian never won an Best Costume Oscar, despite having designed for dozens upon dozens of films during Hollywood’s golden age. Edith Head could have won even more than her eight Oscars (the most of any costume designer, living or dead), if the award had started earlier and counted her pre-’48 work. 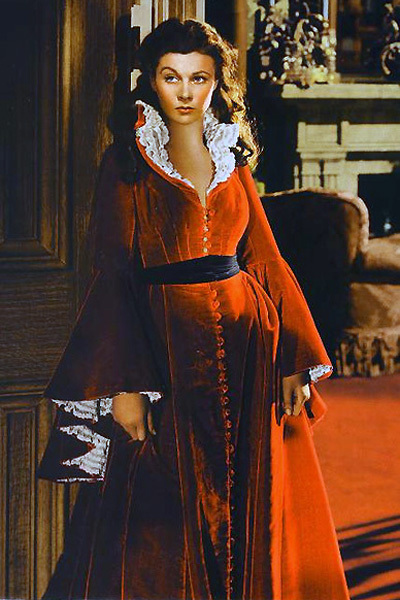 Obviously, Trystan’s favorite gown in Gone With the Wind. 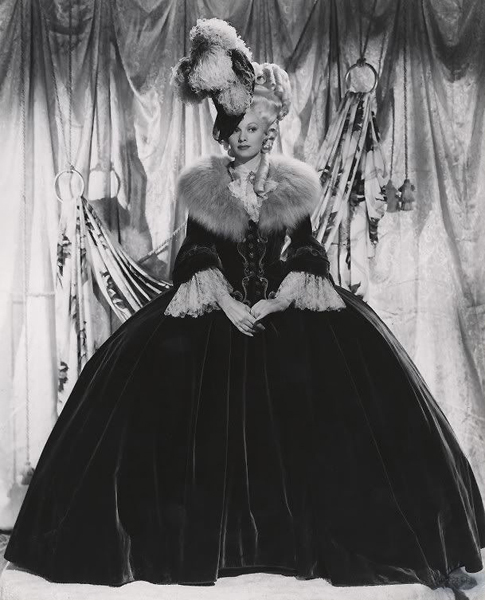 Lesser-known but still prolific historical costume designers who missed out on Oscars include: Rene Hubert, who designed costumes for Jane Eyre (1943), That Hamilton Woman (1941), and Fire Over England (1937); Irene (aka Irene Lentz), who was in charge of costumes for The Picture of Dorian Grey (1945), Meet Me in St. Louis (1944), and Du Barry Was a Lady (1943); and Milo Anderson, who created costumes for Rhapsody in Blue (1945), Yankee Doodle Dandy (1942), and The Adventures of Robin Hood (1938). 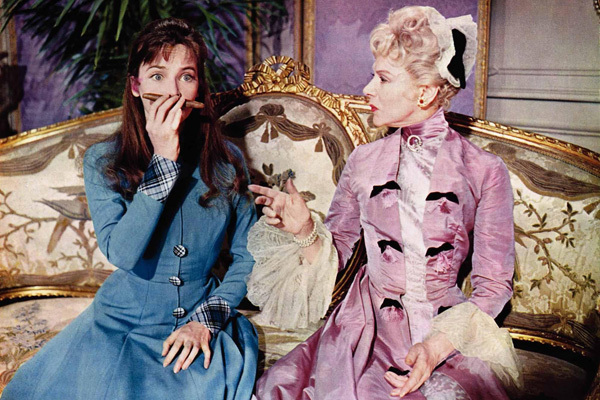 Du Barry Was a Lady has a giant 1940s dream-sequence set in the 18th century. For more recent designers who haven’t won an Oscar, take a look at my Top Five Friday post on this topic. It’s all about the historicals, baby. If you’re a costume designer jonesin’ to hear those magic words “And the Academy Award goes to…” in front of your name, you best get into historical costume movies. Doesn’t seem to matter what historical period, although flashy and ostentatious is a good way to start. Subtle and careworn won’t get you noticed. The main exception for subtle historical films winning is if the movie itself looks to be a big sweep — say, for a massively popular biopic, something with an actor in an unusual turn, or a huge box-office success that’s also a hit with the critics. 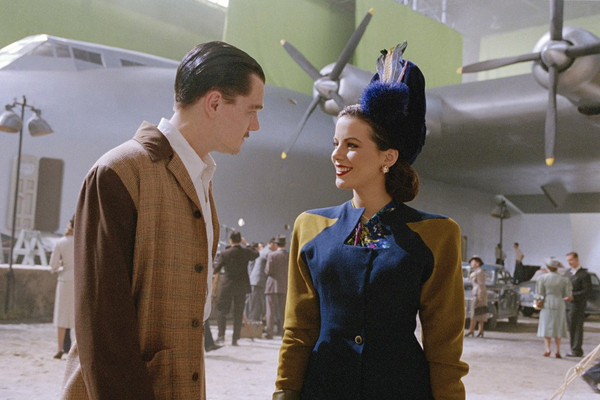 Thus, we see The Aviator (2004) earning Sandy Powell one of her three awards, in a year when this film was nominated for 11 Oscars total and won five. Likewise, The English Patient (1996) won Ann Roth a Best Costume Oscar, while the film won nine of the 12 total Academy Awards it was nominated for. 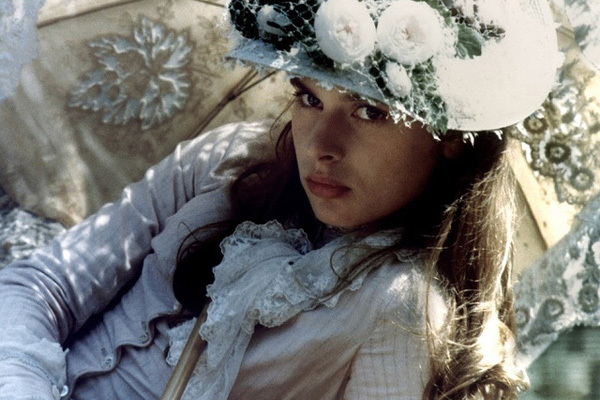 Even Chariots of Fire (1981), earned Milena Canonero one of her four Best Costume Oscars, in a year when the movie took Best Picture as part of four total awards out of seven nominations. The costumes in each of these films were excellent, of course, but they were not visual stunners. Nothing wrong with that, they suit the films they’re made for. Even The Aviator‘s “subtle” historical costumes are pretty obvious. 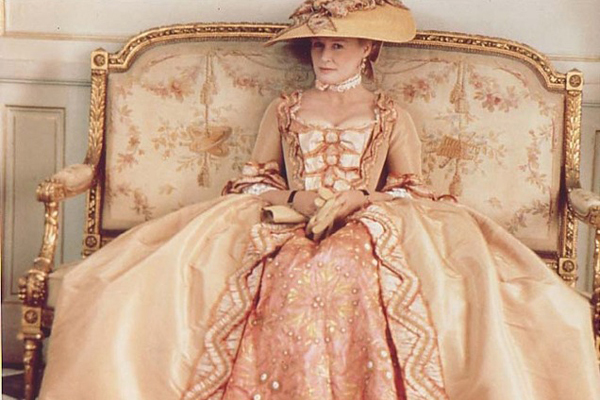 In contrast, the Academy-Award-winning historical costumes we remember are more like The Duchess (2008) by Michael O’Connor, The Age of Innocence (1993) by Gabriella Pescucci, and Dangerous Liaisons (1988) by James Acheson. 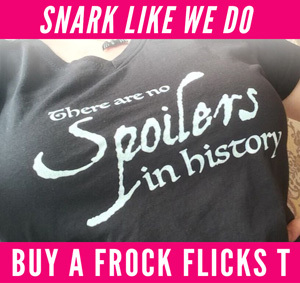 We at Frock Flicks can’t help but agree with the Academy — we love the rich feast of historical costume with sumptuous details and head-to-toe attempts at historical accuracy. They make a gigantic impact on screen and in the story. The reason they win the award is simple: without good costumes, it’s very hard for a historical movie to transport you back to a historical time. The art direction is almost as important, but ultimately, we’re watching people talking to each other and doing things with each other. There could be a black background or empty stage (as is sometimes done in theater), as long as you have some costume clues to tell who is who. 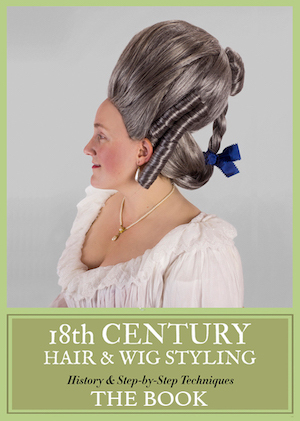 For history, that’s done through period costume. This is why the costume designer’s work is so vital, and as a result, costume designers in historical movies get more awards. What’s your favorite movie that won Best Costume Oscar? Is there a costume who missed the award but should have gotten one? Two of my most favorite movies are Richard Lester’s 1971 THE THREE MUSKETEERS and THE FOUR MUSKETEERS which really were one movie: they were shot at the same time, but released several years apart. With few exceptions, the costumes were marvels! 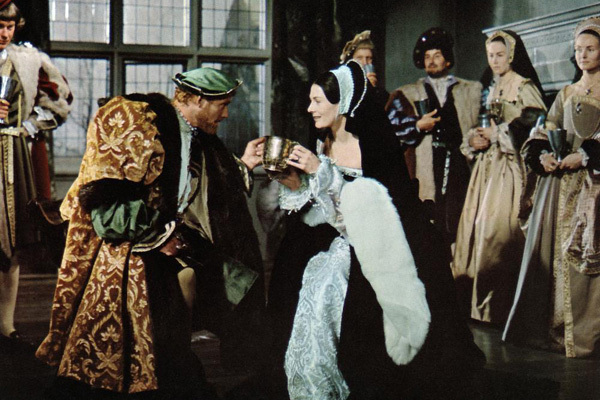 Faye Dunaway’s Milady in the second film, with that fine elegant hood of mesh and wire… the garb of the Royals, especially Queen Anne (Geraldine Chaplin) and the commoner-garb were all beautiful. Talk about transporting the viewer back in time…! I don’t know if these films got any costuming awards, but they surely should have been contenders! I also have to include both “MUSKETEER” movies from the 1970s. I would also include 2013’s “THE GREAT GATSBY”, 1968’s “ROMEO AND JULIET”, 1969’s “HELLO DOLLY” and 2004’s “THE AVIATOR”. Yes, definitely the two Musketeer movies by Richard Lester – on revisiting them on the big screen not to long ago I only realized how well they had been made, and how well they have aged! Much better than many other older costume movies, I think. Movies that were shamefully shut out during Oscar season that deserved to be nominated are, Down With Love, Evita, Good Night and Good Luck, Hairspray (2007), Changeling, Cheri, Inglourious Basterds, Burlesque, THE HELP, Sparkle (2012), Belle, The Homesman, Crimson Peak, A Very Long Engagement, Boogie Nights, Kama Sutra a Tale of Love, Dazed and Confused, Like Water for Chocolate, Day of the Locust, Cabaret, The Hireling, Love and Anarchy, Splendor in the Grass, A Breath of Scandal, and Lola Montes. Although she was never nominated for an Oscar (which I feel is shameful), I would also like to add Trish Biggar’s costume designs for the STAR WARS Prequel Trilogy – especially for the costumes worn by Natalie Portman. 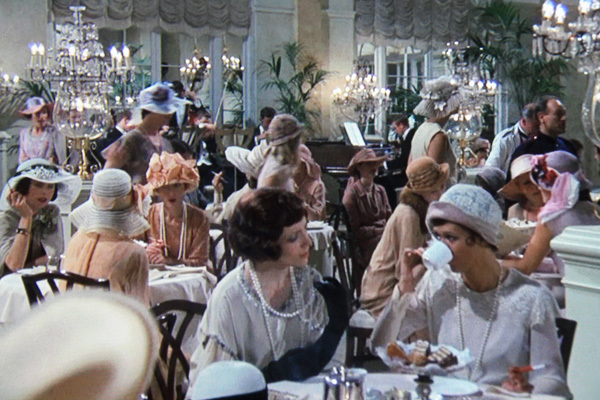 Hey Ladies – you refer to Maggie Smith’s character in Travels w/My Aunt as “elderly”. She was 38 when she appeared in that film – you may want to edit that particular entry. The character is supposed to be much older than Smith was — she’s supposed to be old enough to be Henry’s mother. Alec McCowen, who played Henry, was actually older than Smith when the movie was filmed. No edit needed. Yes, those Musketeer costumes! The last one on Anne of Austria at the end of the 3, was a copy of a Rubens portrait of the queen. Fabulous!